Yorkston/Thorne/Khan are an experimental group that includes James Yorkston, one of the most “influential singer/songwriters on the Scottish folk scene”, Suhail Yusuf Khan, award winning sarangi player and classical singer from New Delhi and Jon Thorne, best known as jazz double bass player with electro outfit Lamb. This is Scottish-Irish-Indian-English music in the raw, Yorkston's familiar steel guitar strings pulled, pushed and bent into more unfamiliar acoustic drones, the bass dropping anchors through the floor. Rather than world music per se, this sounds more idiosyncratic, a temporary structure bivouacking by the side of the indie-folk, art music tradition, while its widening horizons extend back to the Sixties heyday of the Incredible String Band, and forward to this singular album's satellite orbit over the folk music, Indian classical and indie music of today – all these musical ley lines threaded into a new kind of eclectic, domestic setting. 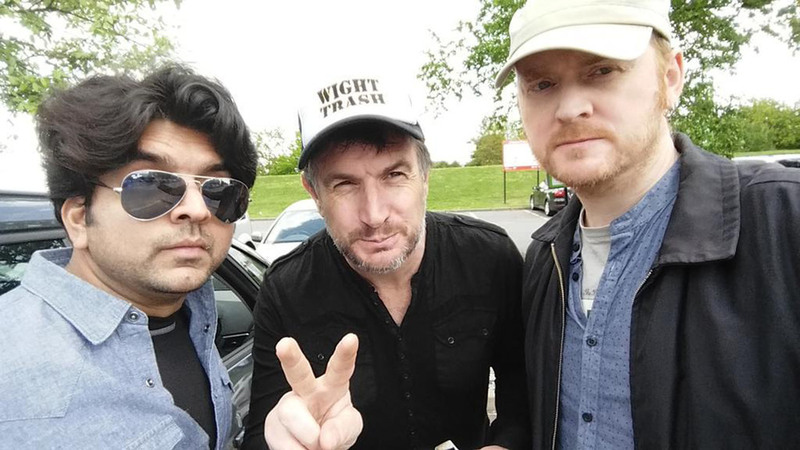 Jon Thorne has been playing double bass with Yorkston since 2009 and was the natural choice to join Yorkston and Khan on this project.